Debatables: The Better Balloon! – Hey, Look! A Writer Fellow! Previous postEverybody’s Favorite Book is here! Wait—isn’t the parade supposed to be fun? It’s now a political platform for social injustice? C’mon, Mike. Let’s keep this uplifting. As your older “sister” I’m letting you know you should take a cue from Tigger and lighten up and get bouncing. A parade balloon can be two things. After all, The Snowy Day is a lighthearted, joyful and dang near perfect story. Hi Mike! Remember me? Did you see my email? I have something to send you! Hey you! I just wrote you back! Sorry Mike… again I have to be with Cricket on this one. 1. EVERYONE knows who Tigger is and he is fun, fun, fun, fun, fun! I love Tigger because we always called our daughter Tigger! She was the only one! LOL! 2. There shouldn’t be a “political statement” in the parade. Although I sympathize with your argument, Macy’s Tday parade is not the place for it. But here’s the dealio. It isn’t political. The Snowy Day is a story about the wonder and joys of childhood. But the selection of Peter also corrects an oversight, providing representation where previously there was none. Tsk tsk, Courtney. So a balloon isn’t worthwhile if everyone doesn’t know it? Do you know Little Bill? Or Jimmy Neutron? Or Jet from Superwings? Or Skylander’s Eruptor? All of them were past balloons. And all of them were insignificant flashes in the pan. Peter, on the other hand has staying power. The Snowy Day has been continuously in print for 55 years! (My first PB dropped dead after a measly 6. Thanks, Albert Whitman & Co.!) Peter’s adventure is still being bought and read about today! That’s cool. You’re a thoughtful lady, Courtney. And you have excellent taste in kid lit. Hey, I like your new avatar! I think I can finally back Mike on this one. Although, you may find my reasons a bit wishy washy. As a “Winnie The Pooh” fan (even though “Good Bye Christopher Robin” broke my heart and I will never look at Pooh in quite the same way) if there was a character that should represent I would have to choose Eeyore. Mike’s choice caught my attention with the red outfit. I confess I have no knowledge of the story (do not gasp Mike). I have no children. All of mine are rentals and this did not come across my path. I will stand by the bright red outfit being a real show stopper. GASP! Run to your library right now and check it out! It is one of the most marvelous stories about childhood that has ever been written! Oh, and thank you for your support. I asked you not to gasp! Sorry. But how could I not? Wait—you rent kids? And two, you are voting for the outfit. Orange and black are so in right now. I think it’s okay to change your vote if fashion is the criteria. Settle down, Cricket. Votes don’t count if the commenters aren’t familiar with both characters. Ah, didn’t know we had that one in the Debatable Guidebook. Hmm, votes are about even then, eh? Sounds like you go ringers in reserve. Keep it fair, Cricket. Keep it fair! You’re the one slinging mud, Mikey. Gonna mess up your pristine snowy day. Peter no doubt likes Tigger. He might wonder why you are picking on him. Mud slinging? You slander me, Cricket. My motives are as pure as a snowy day. You aren’t even aware how you malign Tigger with your attempts to garner votes? That’s a concern. And we all know what happens to snow once exposed to even the most innocent of interactions. Are you threatening to be-yellow Peter’s snowy day? That is unseemly, Cricket. For SHAME! Yeah, you would be surprised how many people will drop their kids off for you to entertain for a weekend if you let them know you are interested. I always give them back though. While I have them it usually costs me money so that makes them rentals. I don’t necessarily like the outfit. I just thought the colour was eye catching. I was desperate to support Mike for a change. Haha—he should be happy with this round. Psst. I’m glad his choice of Peter went over so well. But don’t let Mike know. 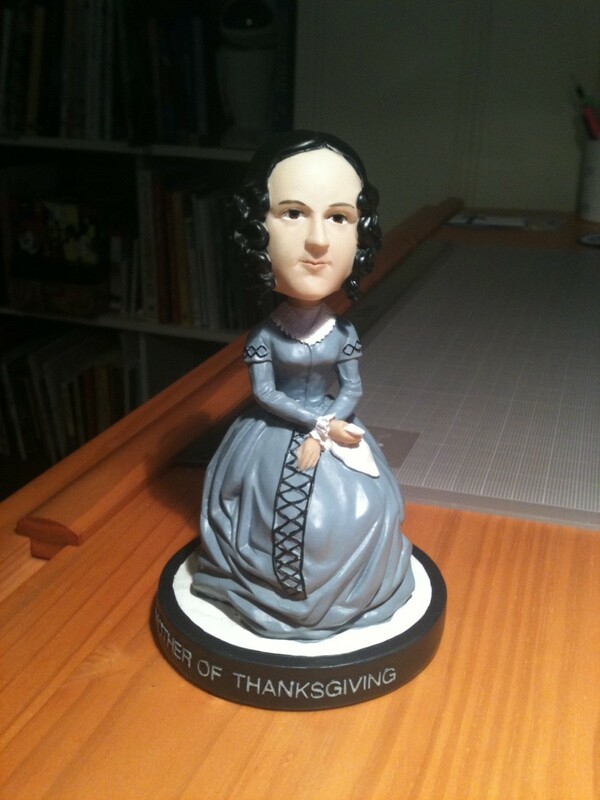 Thanks for sharing this, Virginia. It really is appreciated. Tigger. It’s just such a natural fit! A natural fit. How so, Sarah? Support your argument! I do love Tigger, but I’m with Mike on this one. Enough with the Disney characters. 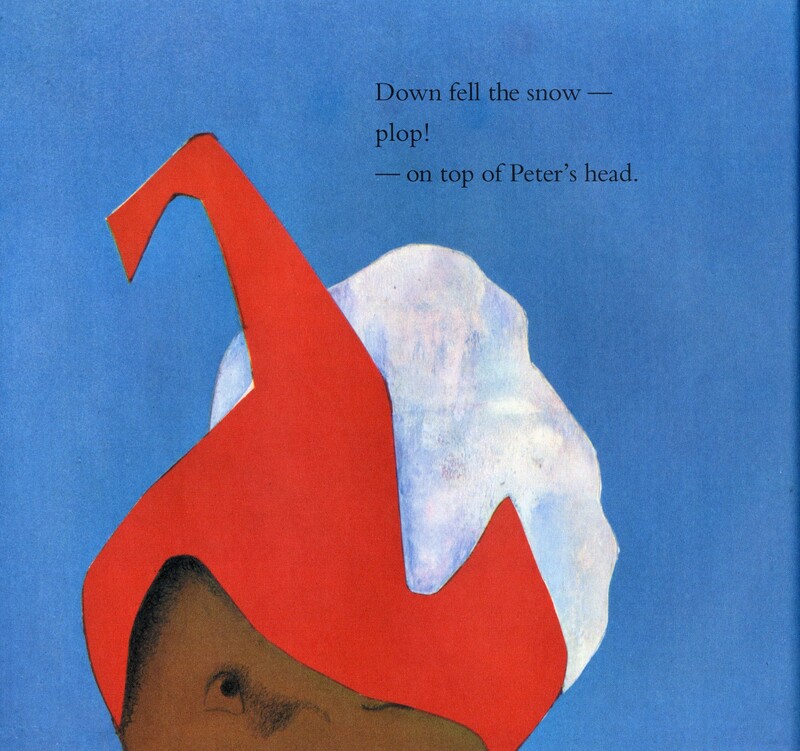 Peter, from “The Snowy Day” could not be any more seasonally appropriate, plus his story is one of childhood joy. I completely agree with Mike’s point about the need for more diversity in the parade — parades are public events that are for everyone, all across the nation. It would be fabulous to show a bit of this country’s beautiful multiculturalism in the Thanksgiving Day parade. If Peter’s not as well-known as Tigger, then putting him in the parade would be a great way to bring this classic book to parents’ attention. Peter is perfect. Very true. I’ve always found Disney’s interpretation of Tigger to be obnoxious and obtuse. Milne’s Tigger was endearing. Oh, Cricket, as a children’s book author, you know as well as anyone that books for children need to be for everyone. This is not a political stand, it is a small and overdue gesture toward inclusivity. It’s about balloons for all to enjoy not about balloons to fulfill causes of concern. Tigger is apolitical. Vote for Tigger, folks. Dude—you brought it up. I’m just promoting fun. Peter has great fun in The Snowy Day. It’s just not the self-absorbed fun of a Tigger. Have I slung aspirations towards Peter? At all? Insults in an argument mark desperation. Tsk. Picking on Tigger like that. Your arguments are aggressive as Tigger trashing poor Eeyore’s house. Let Peter play in peace, you monster! Now you’re slinging mud at me! What happened to your pure snow pleas? Will someone please vindicate Tigger? Will someone lob a snowball at Mike’s aspirations? I fear Tigger is being bounced out of the running. Haha—probably doesn’t faze him being such an upbeat critter. Voting for Peter because of the historical significance–The Snowy Day was one of the first major children’s books to have a MC who was African-American, and who wasn’t a caricature. That’s huge. We really do need to celebrate stuff like that. And promoting endangered species such as Tiggers isn’t as worthy? Rethink and recite—it’s allowed. Never mind the howls of protest from Mike. Oh, I love Peter, too! He’s a kid any parent would love to have as their own! He is so sweet and imaginative! Have you read the sequel, “Whistle for Willie”? It’s great. I haven’t, but I’m going to. Thanks for the heads up, Charles. Going with Mike and Peter. Such an iconic story. And we need the diversity and unity more than ever right now. Peter is a lovable character and a good choice. Tigger IS diverse AND he unifies the Hundred Acres Woods crew. C’mon, PT, you know it’s Tigger you REALLY want to send up your vote. I had a feeling you’d be on my side with this one, Patricia! I agree with your reasons. And, I’m big on diversity. Peter would be perfect. After this debate is over, I’ve decided that I’m going to write to Macy’s. My letter is already drafted. I agree with Mike, not because of my knowledge of the book or any political statement. The reason I agree with him is because extroverts are so overrepresented in our society, it is time to include introverts in a parade. Peter is playing alone amusing himself with a stick – an absolute celebration of the life of an introvert. Those of us who enjoy quiet, down time are exhausted at the idea of Tigger’s nonstop bouncing energy. Now, off to get the book The Snowy Day to read to my grandsons. Oh, that’s an interesting argument! And you’re right. The loud, the aggressive and the flashy always get all of the attention. A peaceful soul must have his due. Good idea. 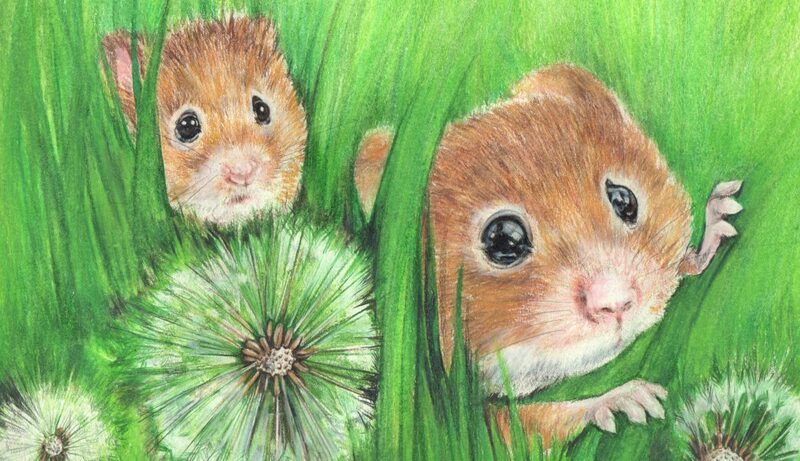 but said declaration should be low-key and only within a small group of intimate friends. I have never read Snowy Day, you can gasp if you like, did not know who Peter was and I feel that would be the majority of parade viewers. Tigger is instantly recognizable and has the perfect attitude for a parade. He could make a parade out of a simple hike in the woods. Someone mentioned representation for introverts. It’s a parade. Introverts do not parade. I’m an introvert, but given enough caffeine, I can bounce with the Tigger for a while. You just don’t want to see me crash. As for the political statement, I agree with Cricket. Leave that out of the traditional parade. You did mention some political reasons for wanting Peter in the parade. Excellent voting reasons. Up with Tigger and his bouncy joy for living life. Thanks for the vote! You are most welcome, Cricket! Giving Mike something to consider! Oh, pish, Jude, I am not losing this one. And have you read The Snowy Day? Because, if you haven’t you should. It’s a simple delight. Okay, pish is a really good word. Points for that. No, I have not read The Snowy Day. A simple delight. You’re swaying me. But not to vote for The Snowy Day. Just to read it. It’s also one of the most visually beautiful books I have ever seen. Mike, once again you’re on the right side in one of these debates. 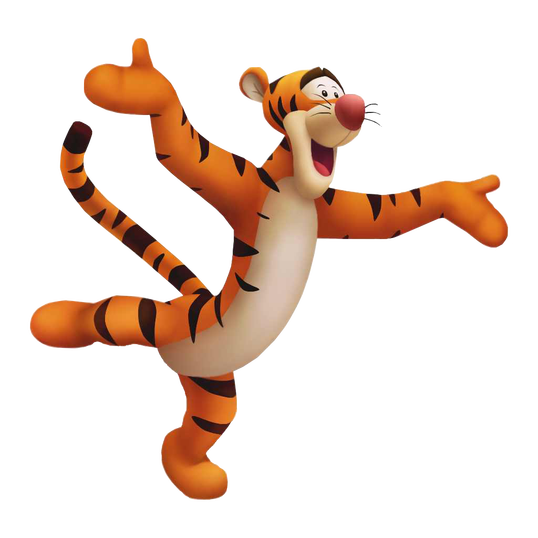 I completely get the Tigger argument: colorful, bouncy, iconic, fun fun fun. But oh my goodness Peter wins by an avalanche. There is something so special about Peter’s quiet investigation of his neighborhood after the first snow, as hushed and reverent as it can feel for any of us when snow falls: the world is muffled and clean, bright and full of possibilities. And Keats captures all of that. I too adore the original Ernest Shepard illustrations of Tigger and company that adorn the Milne books, and of course find them to be vastly superior to the Disneyfication of Christopher Robin’s pals later on. To be clear I am a huge Disney-version Tigger fan: I own numerous sets of Winne-the-Pooh and friends Christmas ornaments, stuffed animals, and t-shirts, and even waited on line with small children for my turn to get a picture with Tigger on a recent trip to Disney World, a place I visit frequently. But none of that holds up to Peter, and it does bear repeating that he is the first child of color to be featured in a picture book, one that won an award for illustrations no less, and that is no small moment in America and the “murica” we sadly live in today. As Robert Fulghum once suggested, “be aware of wonder”. Peter helps us do that and more. All Tigger does is make us be aware of him…constantly, like an ADHD kid. Keats brings us back to that time of wonder, when we didn’t know what was out there, and that it was okay to go and find out. We are in the land of Harold and his Purple Crayon –another balloon nominee perhaps? ?– and it is an enchanted and important land worth revisiting, a land worth honoring with a balloon, and a land worth preserving most of all. Dang, Corey. I can always count on you to give a thoughtful, beautifully expressed opinion. (I think this even when you disagree with me, by the way.) I’m gonna be out of state on a writers fellowship in January; would you like to be my substitute? With all due respect to Cricket, and Tigger, I have to go with Mike and Peter here. The Snowy Day was one of my favorite books when I was a kid. And if it weren’t for that book I’d have no idea how to make snow angels. It’s a skill that has held me in good stead all these years. Although the people trying to pass me while I’m lying in the snow on the sidewalk would probably disagree. Also, Eeyore is my favorite character from Winnie the Pooh. If it was a choice between Peter and Eeyore, that would be a much tougher call for me. Ellen is a huge Eeyore fan, too. I always more closely identified with the cantankerous Rabbit. Maybe I cheated, don’t scold me nor gasp. I found this https://www.youtube.com/watch?v=FmZCQfeWjeQ while searching for Peter because ~ no, don’t gasp ~ I’d never read the story. Excuse? No children or rented children for that matter. Just me, a super cool husband, and some cats with a few zebra finches sprinkled here and there. I gotta vote for Peter. I love how he realizes it can’t run with the big boys yet and makes snow angels. His telling his mom about his day. His dreams. The hope of keeping snowballs alive. And who could resist the jammies? Peter has my vote. Hands down. I don’t gasp at people who do their homework! Nice job! And, of course, your reasons for selecting Peter are wonderful. This is why you and I (and Laurel) should make an effort to be neighbors someday. We see eye to eye on all things (sans salamanders). Haha—what part Mary Poppins? And thanks for the vote. Even Mike has to like your voting logic. Mary Poppins has a tail? It’s never wrong to vote with your social conscience, D. Wallace. Oh, this is “ridick-orous”—it would be *ahem* Peachy if you would recant and vote with insights so wonderfully stated.